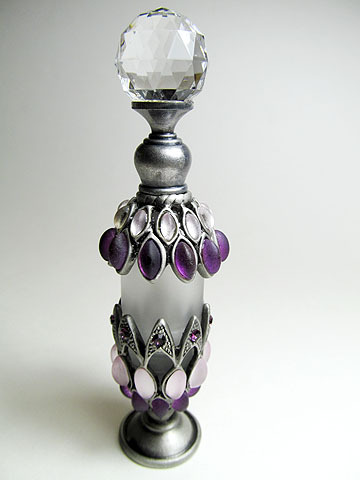 Finished: Frosted glass bottle with brass and pewter in antique bronze plated Purple rhinestones and pink pearl stones decor. Cap fits with rod and crystal stone on the top. 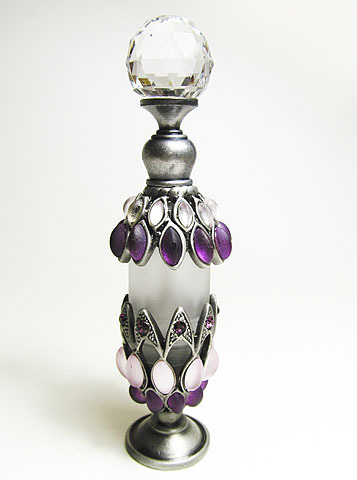 Feature: Perfume refillable, glass bottle inside. Small funnel attached,colorful box packed.